We start out Satoshi Kon Movie month with the first of his four feature films. 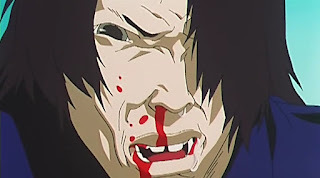 The one that people feel is Kon’s best work aside from Paranoia Agent. But does it really hold up here? Well, let’s find out. Perfect Blue is an 80 minutes film from Director Satoshi Kon and Studio Madhouse in 1997. The screenplay was written by Sadayuki Murai and is based on the novel, of the same name, from Yoshikazu Takeuchi. The movie is licensed by Manga Entertainment. Pop idol Mima quits her group, Cham, in order to pursue an acting career. But not everyone is happy especially a crazed fan that stalks her. While working on her first big acting job, people around her are being murdered and Mima starts to lose her sanity in the process. With visions of a girl claiming to be the “real Mima”, what is real? And what is just a dream? 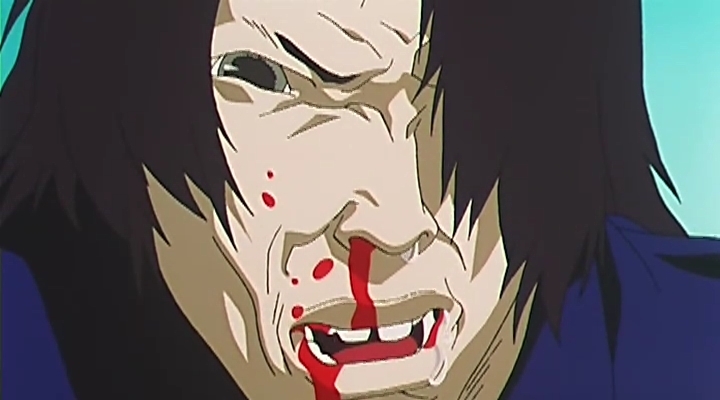 The art style and animation is very gritty and realistic, and, for a late 90’s film, it’s pretty good. It hasn’t really aged very well, but it could be worse. The character design is the start of the typical Kon style that we’ll keep seeing as we continue watching these movies, with it becoming more and more refined. The music helps set the mood very well. It’s one of the few times in a suspense film that I’m kept on edge because of the music and how well it’s used. If you were to take the music away, it’d wouldn’t be as suspenseful. The story could actually be one of the best Psychological thrillers I’ve seen in a long time. As she works her way up as an actress, people start getting murdered, and Mima begins to lose her sanity in the process. With the image of a second Mima in her head, a creepy guy, and her losing grip on reality, it could be a very very thrilling story. Notice how I said “could” twice? There’s a reason for this. It does have suspense, it does have really good psychological pieces to it, but the story.... It just..... I don’t really know what it is. It just seems off as a whole. The ending of the movie, especially, drives me a little batty because of how it ends. From the beginning up till the climax, it was great! I had some plot hole problems (Which are more spoilers, so I won’t mention them here), but I liked it. Then you reach the end and 90’s pop music starts playing and I kind of lose sight of the rest of the movie, needing to watch it again so I didn’t miss anything. I think what the problem with Perfect Blue, is the fact that it’s not a Satoshi Kon written film. 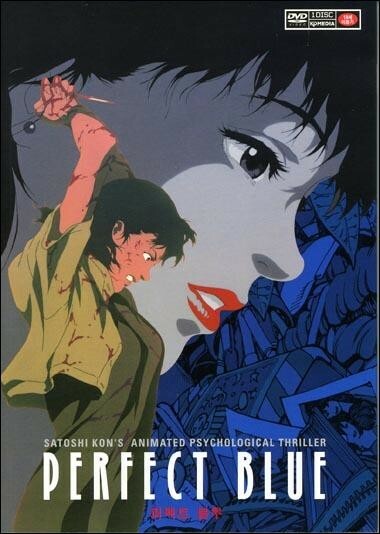 Perfect Blue may be his directorial debut, but Millennium Actress isn’t the first screenplay he wrote. He took part in 1995’s Memories, specifically Magnetic Rose. This film helped begin Kon’s style about questioning reality. However, I have heard from people that it’s not as groundbreaking as Perfect Blue. 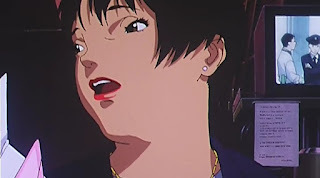 What I will say about Perfect Blue is, not only does it bring Kon’s style out in a feature film but, it kind of tries to see if you, as the viewer, can keep up with what’s real and what’s not. The characters are rather interesting. You have our lead, Mima, just trying to become an actress by any means necessary, and I do mean any means. Rumi, her manager and confident. Mr. Me-Mania, the crazed Mima fan that wants Mima to go back to being a Pop Idol. And then, what the production staff of Perfect Blue refer to as, “Virtual Mima” who tries to break free and return to being an Idol and take down Mima for good. There are some other secondary characters, but they don’t really do much aside from add stress in Mima’s life, helping create the unstable reality Mima finds herself in. As for the main cast, I will say I liked Rumi and Mr. Me-Maina the most. Mr. Me-Maina is creepy as hell and is, for the most part, quiet (I’ll get to it, believe me...), which is a good thing for a crazed fan. Rumi is as much under the pressure as Mima, even trying several times to get Mima to return to being a Pop Idol. Too bad it came out with some interesting results in the end. The dubbing is... Uhmm.... Just what a pre Bebop dub is like. The voice actors aren’t the problem with this series, it’s more along the lines of the Direction for the dub. Ruby Marlowe, aka Bridget Hoffman, (Digimon Tamers, Serial Experiments Lain) as Mima is pretty much a whiney, almost, valley girl, though it does work if you want to think Mima is a sellout. But even Wendee Lee (The Big O, Digimon Adventure) can’t help make it any better with her portrayal as Rumi (Which is pretty good, if I do say so). The worst performance I would have to say is Bob Marx, aka Robert Klein, (FLCL, Blue Dragon) as Mr. Me-Mania. For a character that spends the majority of the film as a silent character, did you really have to give him most goofy voice in the entire movie for a single scene of dialogue? I mean, really? Couldn’t you have done any better? I just don’t have a lot of good things to say for the dub. Just that better casting and direction is certainly in order here. By the end of the day, Perfect Blue is an interesting ride that kind of ends with a conclusion that makes you feel really weird inside. It puts a whole new meaning to the phrase “It’s not about the destination, but the journey”. And, boy, what a journey that was. It’s not the strongest of Kon’s works, and it has, at least, two really big plot holes that don’t help make things any better. But I can appreciate this being Kon’s first directorial work and first non-written work. 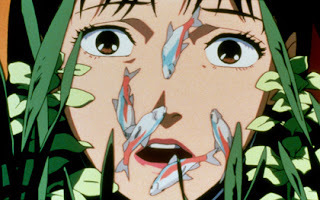 Perfect Blue is a movie everyone must see at least once. Mostly to say that they have, but also so people can enjoy the real beginnings of the great Satoshi Kon. Next week, we take a look at, probably, the best of Kon’s work. How does this contrast happen? Find out next time. Until then, otaku on my friends. Generate FREE satoshis at DailyFreeBits Faucet. 100 to 1,000 satoshis per 60 mins. Ever try to maximize your free BTC collections with a BITCOIN FAUCET ROTATOR?